You’re on the lookout for a great pair of work boots. Well, you’ve come to the right place, and you’ve found the right pair of men's boots: Danner Men’s 23821 Black Lookout Waterproof EH Safety Toe Side-Zip Boots. This 5.5-inch footwear features full-g ... (see full details) (see specifications) #DNN23821. You’re on the lookout for a great pair of work boots. Well, you’ve come to the right place, and you’ve found the right pair of men's boots: Danner Men’s 23821 Black Lookout Waterproof EH Safety Toe Side-Zip Boots. This 5.5-inch footwear features full-grain leather and ripstop ballistic nylon uppers. These materials make for uppers that are extremely durable, waterproof, and polishable. They're so dependable, you can count on them each day. The waterproof Danner Dry liners pull moisture away from your feet to keep them dry and comfortable. There are laces, but the semi-locking side-zippers makes these shoes easy to get on and off. You’ll see there’s plenty of comfort starting with the all-new Danner Comfort System (DCS) that offers you with superior durability and support. The DLE-01 last was designed to be like an extension of your feet with an anatomical design and broader toe boxes to provide a truer and more responsive fit. A patent-pending plush dual-density footbeds offer two layers of cushion. The footbeds in the black boots also feature underfoot venting for maximum airflow. There are Airthotic clips that provide you with that much-needed heel support, while the nylon shanks offer you with arch support as well. Slip-resistant, the Danner Lookout outsoles have a dynamic lug pattern for superior traction and maneuverability. Shielding your feet from falling objects are the non-metallic toe caps. EH, or electrical hazard, heels and soles protect you against accidental contact with live electrical circuits. These safety toe shoes meet or exceed standards for ASTM F2413-11 M, I/75, C/75 and EH. Also, this men's footwear offers body fluid pathogen-resistance to meet or exceed standards for NFPA 1999-2013 sec 13 7.4 2.7 and ASTM F1671-13. There’s no special vantage point needed to see the durability and comfort of Danner Men’s Black 23821 Lookout Waterproof Non-Metallic Safety Toe Side-Zip EH Boots. 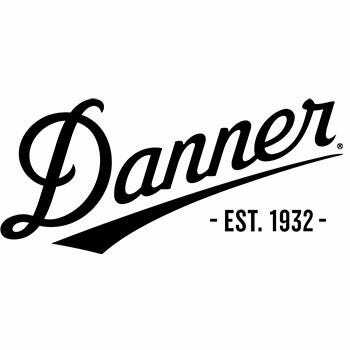 But you do need to see yourself in this Danner footwear as soon as possible by ordering yours from Working Person's Store! I work 12 hour shifts with a lot of walking on concrete floors. These are the most comfortable Danner safety toe boots I've ever worn. I tried another brand and felt the difference at the end of the shift. I'll keep buying these Danners as long as they make 'em. I've worn my current pair over a year. They last, one small drawback. On a wet slick floor footing can be dicey. Wore only three times, but sore feet each time. Heel blistered up, not conform well to feet. Can’t return since show of wear, buying another brand of boo. Past brands of boots I’ve never had this issue initially. Danner Boots: Men's 23821 Waterproof Safety Toe EH Black 5.5-Inch Side-Zip Boots is being added to your cart.